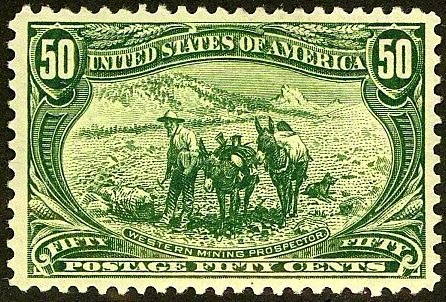 By the 1860s, stamp collecting had already become a very popular hobby, and many countries issued their first stamps during this period, fueling interest further. John Walter Scott published his first stamp catalog in 1868, a 21-page pamphlet with the long-winded title "Descriptive Catalogue of American and Foreign Postage Stamps, Issued from 1840 to Date, Splendidly Illustrated with Colored Engravings and Containing the Current Value of each Variety." One of the more colorful individuals who gravitated toward the absurd new fad of collecting bits of colored paper, and even paying good money for them, was Samuel Allan Taylor (1838-1913). 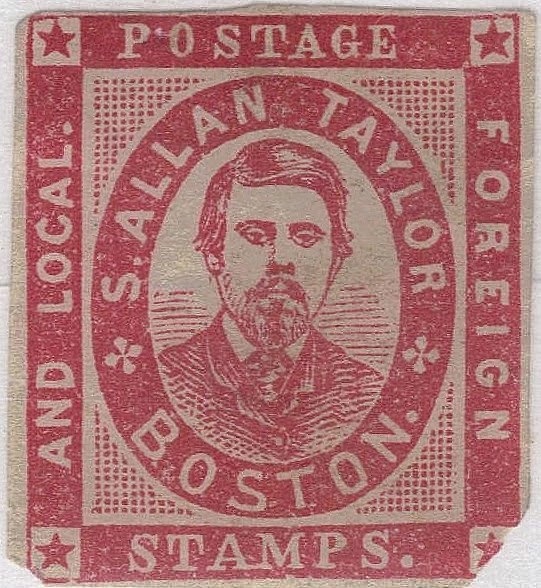 Taylor was one of the pioneers of stamp collecting in the U.S. and published the first North American stamp journal, "The Stamp Collector's Record." He was also a notorious producer of bogus stamps, known as 'the Master Grafter', and was the leader of the 'Boston Gang' of philatelic forgers. He was at the height of his fraudulent career between 1863 and '79, and for one of his productions, a fictitious U.S. local, used his own portrait in the design. Many of Taylor's creations were obvious fakes. 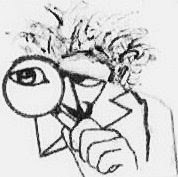 He had a keen sense of humor, evident in many stamps he produced, and he was partly an artist and partly a cynical faker who thrived in his profession. Taylor once said that he was "a man of flexible conscience and speculative disposition." He contended that his output was for use as "space-fillers," the genuine stamps being too expensive for the average collector. He circulated his stamps widely and his patrons paid little for most of them, but he could work up a a very deceptive job when in the mood. 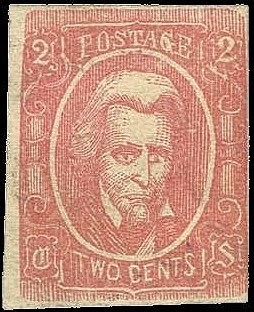 Among Taylor's least convincing forgeries were imitations of two stamps of the Confederacy: one of the 1862 2c Blue, picturing a simian Jefferson Davis, and another of the 1863 2c Brown Red, with a depressed Andrew Jackson. In 1863, an article appeared in "The Stamp Collector's Magazine" describing a stamp issued in 1852 by Mormon leader Brigham Young for prepaying postage to and from Salt Lake City and the rest of the Utah Territory. According to the article, "This and some other attempts at independent government on the part of Brigham Young and his followers caused the Washington authorities to dispatch a military force to the Great Salt Lake for the purpose of restoring order and allegiance. It met with but ill success, however." 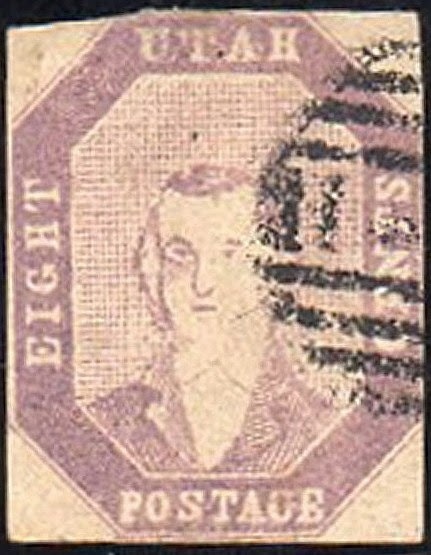 The stamps were printed in several colors, and bear a crude, block-printed likeness of Joseph Smith, the founder of the Church of Latter Day Saints. In 1864, postal authorities confiscated covers franked with these stamps bound for England. In December of that year, Taylor published an article in his journal admitting that they were "facsimiles" and included an illustration of his creations. When Brigham Young was interviewed about the matter, he responded that he "had never thought of issuing a postage stamp." 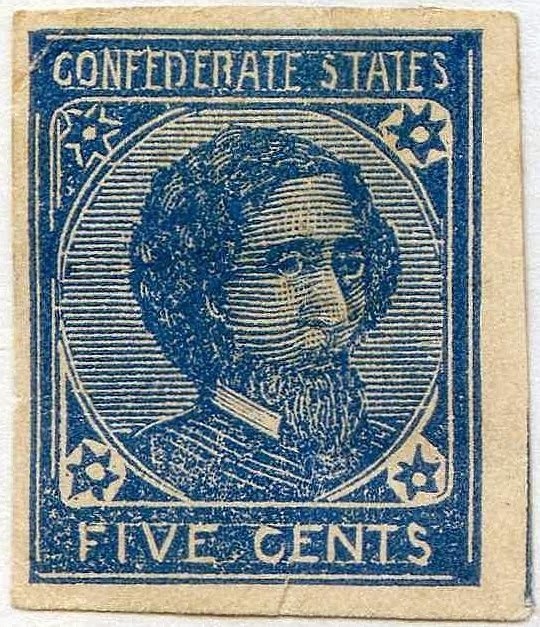 One can only speculate as to the identity of the source of the 1863 article which attributed some legitimacy and historical significance to the stamps, as to who tried to create canceled covers bearing them, and whether, after the government intervened, Taylor was motivated by fear of being thrown in prison to admit to creating the stamps as "facsimiles." In any case, this brazen attempt to rewrite history failed. I've recently read that these fakes, which may be considered "Cinderellas", sell for around $10.- to $15.- each. They'd make interesting additions to a Mormon topical collection. The stamps have potential dual market appeal to collectors of Cinderellas and Religion/Mormonism topicals, as fantasy stamps related to a religion of which there are over 15 million adherents worldwide. Assuming that no more than a few hundred of each remain, they could actually be good investments.